Excellent penetrating and moisturizing qualities while displaying good spread ability on the skin. Ideal as a massage oil. Well tolerated by all skin types. Economical alternative to expensive oils. Does not clog pores. All Natural. Cold Pressed. "Perfect as a carrier oil"
COMMENTS: I use this is a lot of my products. Leaves your skin feeling nice and smooth. COMMENTS: Worked great on my cold process soap. Love the price! COMMENTS: I use this oil in my facial oil blend for acne and it works really well with the other oils. COMMENTS: Great for my body oils though I'm not sure do you guys have organic sunflower oil? I prefer to use organic. • Wish it was organic. COMMENTS: This is a really great oil that isn't too expensive! No strong odor (accidentally got it up my nose and it still didn't smell like much) so it blends right into whatever product you are making without masking the scent oils. Feels great on your skin and I've yet to run into anyone allergic to it! COMMENTS: ONE OF MY FAVORITE OILS . I LOVE THAT ITS LIGHT AND ISNT TO GREASY. COMMENTS: Been using this oil for over an year now in bath fizzies and it is of excellent texture and quality and perfect for making bath fizzers. Not too heavy. Not too strongly scented. "Sunflower Oil! Love!Love to use this in my CP Soap"
COMMENTS: A nice Lower cost alternative! With great benefits to the soap! COMMENTS: I use this in a lot of my soaps. Good price/no shipping per weight/good quality - what's not to like? COMMENTS: I use this oil in numerous items from soap to lotions and butters! I was worried that this would leave an oily texture after using my products but I was pleasantly surprised that it did not. I was also figuring that this would have an 'odor' like most sunflower oil's have but it didn't and it easily blended, undetectably into my products. COMMENTS: I absolutely love this sunflower oil! I've bought it twice now, and haven't had one problem with it either time. Will continue purchasing my sunflower oil from WSP!! And the price is great too! COMMENTS: I purchased this sunflower oil to infuse my herbs to make salves, and it helps to create a beautiful product. It absorbs beautifully into the skin and is priced extremely well! COMMENTS: Love that I can get this in 7 lb bottles. I use this in all my bath bombs and some of my scrubs and it is perfect for moisturizing your skin in the tub. "Crafters Choice™ Sunflower Oil - Refined"
COMMENTS: I used this with other oils to make a great hair product. This oil is great for so many things. This oil is great quality and i will be buying more. COMMENTS: I have used this oil in a skin cream I make. Works great! I have not tried this in a cold process recipe as I have been doing research and it seems like the sunflower oil used in soap causes the soap to only be good for 6 months or so. Maybe one day I will try making soap with it, but for now I will continue to use in my skin cream. Price is great as well! COMMENTS: Sunflower oil is a very good value. I use it in many face products. COMMENTS: Just started using this in my CP soap and really liking it! "Nice feel to any product"
COMMENTS: I love using this oil in body butters and bath bombs. It is super light and works nicely with any product. Will purchase again. COMMENTS: Great for so many uses. I like the price also. COMMENTS: This sunflower oil works perfect in every product I have used, including facial soap, bath fizzers, lotion, cream, and of course, cp soap. Will definitely buy again! COMMENTS: I got this to use in my Sea Salt Hair Spritz and it was an amazing hit! I had a customer say she fell in love with her hair again! A Great product! "Sunflower Oil - Refined "
COMMENTS: A great carrier oil. I use this oil in several of products. COMMENTS: LOVE IT! I USE THIS OIL FOR MY SCRUB CARRIER OIL AND ITS GREAT! "Great product for our lotion bar"
COMMENTS: We like the consistency of this oil and it blends well into our lotion bar mixture. COMMENTS: I use sunflower oil for everything ! COMMENTS: This is a great economical addition to my cold process soap recipe, love what it does for by bars! "Wonderful Product for An Excellent Value"
COMMENTS: I used this and a few other oils and made a quite nice massage oil. My husband said it was nice and relaxing. It was very easy to use and to blend with. It's also wonderful for CP and your skin too. COMMENTS: Absorbs quickly - very light oil. Great for the price. COMMENTS: What a great find!! A light oil that gets the job done. Reasonably priced. Great addition to my product line. COMMENTS: I make an awful lot of infusions with herbs for my therapeutic salves. Was using solely olive oil. Now I mix sunflower with olive oil to help with the cost, and still have a great product. Great price and wonderful oil. COMMENTS: My favorite oil for color mixing. Also very nice in soap. A great many qualities to benefit the skin. A real winner. COMMENTS: My products are From the Land of Kansas so of course I use sunflower oil!!!!! It is wonderful! COMMENTS: I do a lot of oil infusions for products, and some oils are easier to work with than others. Sunflower oil is one of the easiest. Toss some flowers in there (rose, orange peel, maybe some cinnamon sticks) give it a few days, and you have something that smells absolutely heavenly. The price is fantastic too, and it's excellent as a "starter" oil, if you're just getting in to lotions. So far it seems to play well with most skin types, and is especially awesome for faces in winter. Will continue to buy more, and more, and more of this wonderful oil from WSP! COMMENTS: I blend this with other oils for my after bath body oil. All the oils I purchase from WSP have always been of the best quality and price. "Sunflower oil for cold process soap"
COMMENTS: Your sunflower oil is icing on the cake for my cold process soap. COMMENTS: What can I say... I love sunflower oil, it's the main oil in all of my recipes. WSP has a great product at a great price right here! COMMENTS: it's simply amazing in what it does. COMMENTS: This is a great light oil. I've used it in many products. COMMENTS: Sunflower Oil is one of my favorite oils to use. I love it in skin care products because it does not clog pores! COMMENTS: Love sunflower oil. It's very moisturizing and great for your skin. It isn't greasy either but makes skin really soft. I've used it before in bath bombs and lotion bars. COMMENTS: I love, love, love WSP's Sunflower Oil. It's a great addition to my CP soap because it's not only cost effective (much less expensive than some luxury oils), but it's also great for adding some conditioning properties to the soap. I always feel like my soaps made with a little bit of sunflower oil have a little something extra. WSP's product is always top notch! COMMENTS: Customers seem to like soaps that have this ingredient and I try to work it in when I can. It is reasonably priced and works well in a mix of base oils. "This is great for an alternative to expensive oils"
COMMENTS: This goes into all my butters, my facial spritz, and soaps. I love it very much! Less grease than other ouls and reacts well in all my products. Already need more! COMMENTS: Makes a great oil in any product. COMMENTS: There are so many uses for a basic base oil like this. I use it for many things, like massage oil. It's light and absorbs well. COMMENTS: We stopped using soybean oil and started using sunflower oil in our bar soaps a few months ago and are pleased with the results. It works well with all skin types and has better qualities than the much cheaper to use soybean oil.We plan to continue using this ingredient. COMMENTS: This oil is good quality. I used it for most of my soaps recipes. Never had an issue! "Beautiful Addition to Soap Formulations!" COMMENTS: Although I cannot attest to using this oil other products, this will make a wonderful addition to your soap formulation! Also, I have found that for floral scents, this oil adds label appeal! COMMENTS: I really like adding this to my CPOP soap. i read before that it can "spoil" soap...but I use it with meadowfoam oil and it works perfectly. COMMENTS: This sunflower oil works wonderfully in my soaps and my lotions/lotion bars/massage oils. It is a light carrier oil that is easily absorbed into the skin and does not feel "heavy" on the skin. My customers and I love it! COMMENTS: It's a nice oil to add and increase the benefits of your product. COMMENTS: We use the Sunflower with a combination of oils in our lip balm. It adds another great moisturizer to the lip balm. it's a perfect fit with our recipe. COMMENTS: I love how light this oil is, we use this oil is most of our soaps. COMMENTS: I LOVE THIS STUFF! Makes everything so silky and moisturizing! Will buy again! COMMENTS: Works great in everything I've used it in! COMMENTS: My costumers love this product in my soap. I think they say it's supposed to help with wrinkles, but I just know it makes a beautiful bar of soap. COMMENTS: Great moisturizing oil! Works well in conjunction with olive oil! COMMENTS: Nothing special, just your normal sunflower oil. It makes a great replacement for the conditioning properties of olive oil in soap. COMMENTS: I have started to use sunflower oil when making our sugar scrubs and salt scrubs, and so far my customers have loved the way it has left their skin feeling afterwards. Really no complaints on this product! COMMENTS: I love this on lotions - especially for light summer-weight ones. COMMENTS: I rec'd this as part of a kit and the quality of oil was fantastic. I believe I will order some more. COMMENTS: I love this for making sugar scrubs. This oil is so easily absorbed making my sugar scrubs a top seller. COMMENTS: Good quality sunflower oil. COMMENTS: I use this as an inexpesive 'luxury' additive oil in CP soap. It reacts as a high oleic oil and I use the NaOH SAP value of .135. Slow to trace, imparts white soap. COMMENTS: Great oil for almost any product you can think of. COMMENTS: I use in my lip gloss and love its moisturizing properties. It's great in CP soaps as well. I highly recommend at an affordable price! Fast shipping and excellent customer service. COMMENTS: This is my first time trying this oil and I really like the feel of it! It will go into my cuticle balm. Great quality and freshness. COMMENTS: This oil was an excellent compliment to my recipe, it has the right blend of moisture and absorption for my sugar scrubs at a great value for the price. The subtle scent did not compete with my fragrance or my butters. I would highly recommend this as a carrier oil and will definitely buy more. COMMENTS: I use this sunflower oil as part of my standard cp soap base - wonderful oil, great price! COMMENTS: The best emolient I have ever used. Much better that vitamin E oil. Rich and lasting moisture. COMMENTS: Love this mixes awesome. Very easy to use. COMMENTS: Great for soap making. Adds conditioning, a stable lather, and helps harden the bars of soap. COMMENTS: Great for scrubs or massage oils. It absorbs really well, has great benefits to the skin and price is right. COMMENTS: I have purchased the sweet almond oil and the castor oil and love every one of them. I use the oils in making the lip balm and a personal recipe for lotion and they all handle heat very well. COMMENTS: Love how this feels in lotion bars and sugar scrubs. Moisturizing for a good price. COMMENTS: Every time I get sunflower oil at the store it's rancid! No more! I am thrilled with the quality and the price and it's fresh!!!!!!!!!!!!!!!!!!!!!!! And it's gone already! COMMENTS: Sunflower Oil is a very soft oil. It doens't set up hard like olive. But it is very moisturizing and slick. It's good in lotions and as an addition. Still, I'm only rating 4 stars because I prefer argon and rice bran oil for luxury slip. This is still a great alternative for those on a budget. COMMENTS: This last batch was the first time I’ve used sunflower oil and I must say I like it! SILKY and smooooth. This oil felt great, no heavy residue and it left my hands feeling soft. I definitely plan on implementing this into many more recipes. COMMENTS: The price is great on all of WSP oils!!! COMMENTS: This is a staple ingredient in many of my lotions. Great price! COMMENTS: Happy with the large quantity and quality of this product. COMMENTS: I love this oil. It went together really nice with the different soaps I make. Can't wait to order more soon!!! COMMENTS: I used this as one of my oils in some honeysuckle soap I made today. I was very pleased with the consistency, and the little test bar I made seems to be setting up okay. I am very pleased with it. The price is good. COMMENTS: We don't use a lot of this, but we use it in pet soaps and pet shampoo bars. It gives a nice, deep lather. I like the WSP sunflower oil because I get it fresh, and it does not go ransom like some sunflower oils. COMMENTS: This is another good quality oil that I am happy getting from WSP. Very good for the skin. "Excellent for price and quality"
COMMENTS: Used in many of our bath and body products. Quality and great price. COMMENTS: Everyone loves the soaps made with sunflower oil-lathes well. I'm going to be using it in more of my recipes. COMMENTS: Great product for cp soaps. Very good quality and reasonable price. "Great for Cold Process Swirling Techniques"
COMMENTS: Excellent quality and cost effective. I include it in almost all my cold process recipes where I need lots of time to swirl. I haven't tried it in my body butters, yet, but bet it would be excellent! "Love this for all my soaps!" COMMENTS: I love to use sunflower oil in my soap making! It's rich in vitamin E and great for my dry skin! COMMENTS: I use this oil as a carrier for my essential oils. It's light and absorbs terrifically in the skin. You can't go wrong with this oil. COMMENTS: I made up a batch of the cuticle cream today using this and am very pleased with the results. This oil incorporated into the cream very well. This cuticle cream felt so nice on my fingers and I could see where it will make a huge improvement. Will look for other recipes to use this oil in. COMMENTS: This is great for lotions and leaves the skin feeling soft. It has good spread ability. COMMENTS: I use this oil in lotions, creams, soaps, and salves. In all of these, it works wonderfully well. It is a great value, and adds wonderful properties to my formulations. I also appreciate the consistency of the oils from WSP. I never have to worry about the quality. "Who doesn't adore sunflower oil?" COMMENTS: I adore this oil for all sorts of uses. Great price and very versatile. COMMENTS: Penetrates the skin quickly and is light on the skin. Great as a massage oil. COMMENTS: I use this in all my massage oils. Holds fragrance very well, good quality! COMMENTS: I love using sunflower oil in my soap recipes. 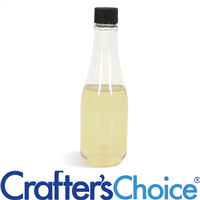 Wish Crafter's Choice would offer a high oleic sunflower oil as well as this mid-oleic one! "great product for a variety of products"
COMMENTS: This is oil is not only cost efficient, but a great oil for body scrubs, massage oils, and body balms. I've found it to be a great substitute for sweet almond oil, as it glides easily and soaks in fairly quickly. And, the price is excellent. "great sub for sweet almond!" COMMENTS: I always always always use sweet almond oil, but I was looking for a way to cut cost & keep the same quality that my customers were accustomed to, without raising my prices. Sunflower seed oil was the perfect solution to that, because the price so almost half of that of the sweet almond 7lb container & I cut the sweet almond oil in my recipes in half & substituted the sunflower seed oil & I couldn't tell a difference. It seems a little thicker & richer to me, so I've began using it exclusively in my salt scrubs & haven't found a reason to go back yet. I have read that sunflower seed oil doesn't have as long of a shelf life, but I haven't had any issues yet...for now I will continue to buy it. Please don't raise the price! COMMENTS: This is just what I thought it would be. Since Olive oil is getting so expensive I'm trying other oils. This one is great! "Best price on the web!" COMMENTS: I love this oil, it can be used in just about every homemade bath&body product but is so much less expensive. If you are on the edge about this oil because of the lower price you are definitely selling yourself short. • Can't beat the price! COMMENTS: As always WSP has another great oil for use in so many different products! "Great Oil for our sugar scrubs "
COMMENTS: This product worked great in my hot process soap. "Great oil for a variety of applications"
COMMENTS: I have used this primarily in my body butters and in massage oils and it is great for those uses, but I am sure would be great in soaps as well! WSP has this at a great price!! COMMENTS: Great oil. One of my soft oils I use for my CP soap. Reorder for sure. COMMENTS: I use this all the time and I love it. Great in lotions! Great price! COMMENTS: used this in my cuticle cream and worked well. scent was not overpowering. "Great oil for body butters"
COMMENTS: I use this in place of more expensive oils in my body butters and it works as well if not better! COMMENTS: I like to use a wide variety of oils in my soaps, this is a wonderful oil to work with! WSP only carries the best! COMMENTS: Top oil in my Cleansing Cream, customers just love it! COMMENTS: I wouldn't order this from anywhere else. Super high quality, nice and clear. COMMENTS: Use this in may face products & lotion bars, works great, don't change a thing. COMMENTS: Great price, wonderful oil for my soaps. No complaints! COMMENTS: Great oil. Great price. I use this oil in my CP Soaps and it adds a creamy lather. It has no scent and is a light golden color. COMMENTS: I use this in almost everything. The price is extremely affordable and the oil is very versatile! I like the smooth texture it adds to my massage oils and it's a wonderful addition to any soap. Sometimes, I use it to superfat my hp soap to make the bars extra creamy! COMMENTS: Sunflower oil is a good alternative for olive oil in soap. It's more affordable and it has many great skin benefiting properties. "Sunflower oil went down in price and I love it"
COMMENTS: Sunflower oil is great in sugar scrubs and whipped soaps. And I have noticed it recently went down in price! "Wonderful for so many applications"
COMMENTS: I started small buying this product and now purchase in volume and have always felt that the price was always great for such a high quality product. It's light color and lightweight feel has given me the ability to use it in many of my massage products. It gives them great "glide" without leaving behind that greasy after feel from heavier oils and find it doesn't stain linens. I also use it in lip balm, lotion bars, liquid soap and many other products because of it's affordability and constant quality. COMMENTS: I use sunflower oil to mix my colors in and add to cold process soap. This is the cheapest (and best) sunflower I've found on the market. Thank you WSP! COMMENTS: This mixed 50/50 with the sweet almond oil with added fragrance makes a wonderful massage & bath oil!